Celebrating three years of ongoing commitment, Blizzard is celebrating with their in-game Overwatch event on May 22nd. Yesterday, we talked about a variety of new cosmetic rewards and the new map that’s coming, but a new Developer Update brought additional details. Here’s what Blizzard’s Jeff Kaplan revealed. According to Kaplan, there will be a new ranked season for Overwatch’s relatively new Deathmatch game mode. Ranked gameplay will pit players against one another in a free-for-all in Château Guillard and the newly revealed Petra map. However, there are many, many more maps to experience during this particular event. Kaplan also revealed that Seasonal Brawls will make a return. Over the course of the anniversary celebration, Brawls like Junkenstein, Mei’s Snowball Offensive, Lucioball, Uprising, and more will be playable. The game shall cycle through a different Brawl each day, letting players experience their favorites throughout the event. And, like they’re doing Brawls, Blizzard is bringing back every seasonal reward. The Overwatch Anniversary Loot Box will pack more drops than any previously released loot box. Responding to years of fan support, the devs have rolled every cosmetic reward from every seasonal event into one package. 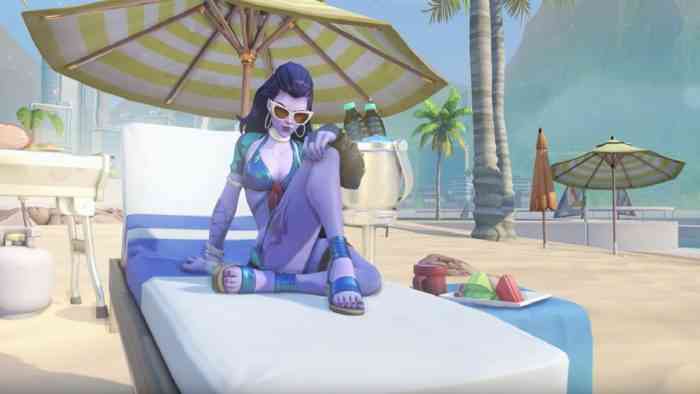 If you missed a skin from the Summer Games, Winter Wonderland, Halloween, etc., it may drop this time around. However, Blizzard isn’t simply recycling previously released cosmetics into their latest loot pool; they’re offering past rewards in addition to new anniversary cosmetics. Kaplan specified that there will be 8 new legendary skins for Overwatch heroes. Moreover, every single loot box will contain, guaranteed, at least one Anniversary cosmetic. Thus, 40 loot boxes will equate to a minimum of 40 rewards from this seasonal event. Let us know your thoughts on Blizzard’s latest move. Will you be jumping back into Overwatch? Comment down below.